When it comes to our finances, there’s a LOT of things that can go wrong. Most often, we don’t realize that WE are the ones causing our own problems. The things we do might actually be destroying our financial future. If you want to get rid of some bad money habits that you might have learned, then keep reading. The first step in fixing mistakes is knowing about them. Most of us are tempted to buy expensive and brand name gear to look more successful than everyone else. Like decorating a trash can with gold and diamonds, one of the worst things you can do is waste money on worthless luxuries in order to show off. Remember: It’s better to BE SUCCESSFUL than to just LOOK successful. I’ve made a post on why you should stop lending money, and it’s because of people who don’t pay debts. If you have “memory problems” regarding debts you owe, you must learn to acknowledge that problem in order to improve your financial life. Why DO you get into debts? Think about your spending habits carefully. It’s difficult enough to try to get ahead, but getting buried alive by debt is an entirely different monster. It’s the difference between swimming towards dry land, and trying to stay afloat while tied to an anchor (hint: remove the anchor first—pay debts!). Learn to pay all your debts and earn your freedom. You’ll be glad you did it. This is common among Filipinos. When the parents grow old, the adult children are expected to step up to take care of them. What’s wrong with children repaying their parent’s love and kindness? Nothing really, but it’s just unfortunate that the parents are expected to become a burden to their children. Not only do the children need to take care of their own kids, they have to pay for their aging parents as well. The grandkids could have gone to a better university, law school, or medical school… but they couldn’t as they needed to spend the money on the grandparent’s groceries and medical bills. Is that your plan for the future? Remember that you don’t HAVE to depend on your children for your retirement. You can (and SHOULD) learn to take care of your finances and save up for a comfortable retirement RIGHT NOW. Instead of becoming a future burden for your children, be a blessing instead. This is yet another bad money habit common among Filipinos, and it’s part of what we call “crab mentality” (also known as “crabs in a bucket”). Whenever somebody gets a promotion, somebody’s business takes off, or somebody earns a lot of money, there will be some “friend” or relative cozying up to them to get a piece of their wealth. If you have the tendency to do that, you have to remember that you’re simply harming others by draining their resources (even if you think it’s all for fun). Go and earn your OWN wealth instead, and don’t let enable abusers by letting other people drag you down. There’s an apocryphal story I’ve heard where an FX driver (a public utility vehicle) said he fathered 16 children. Why? He’s hoping that ONE of the would grow up to be like Manny Pacquiao (i.e. VERY rich). He’s not the only one like that. How many of us complain “I would have been more successful if only my spouse/boss/the government/our children/interest rates are different”? As if our spouse, boss, government, children, etc. are responsible for OUR personal success. That’s like forcing somebody else to go to the gym thinking that YOU will gain muscles. We must never forget that our success, financial or otherwise, depends on our OWN hard work. There’s no other way around it. How many millionaires earn their wealth through the lottery? Not a lot. 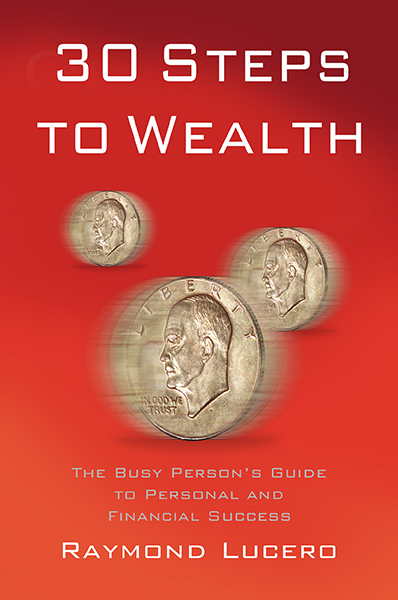 Most true millionaires earned their wealth themselves through their businesses or careers and through wise and frugal living (go check out Thomas J. Stanley’s books, The Millionaire Next Door and The Millionaire Mind to learn more about America’s millionaires). Those who inherited their wealth? Remember that SOMEBODY in their family had to earn it first before they’re able to inherit it. Wealth doesn’t appear from thin air. You can’t just have riches without working for it. This is what T. Harv Eker meant when he explained that while people “want” to be rich, what they really mean is they want a million dollars to fall from the sky and land on their laps/bank accounts. That’s not gonna happen. Wealth needs to be EARNED. If there’s one thing I’ve learned from most self-improvement books, it’s that you can always improve and become better than what you are now. Unfortunately, some people stop at a certain point and they grow no further. My mother used to be poor and she could have accepted life as a poor labandera (clothes washer) in the province. Fortunately, she didn’t. She worked hard and she succeeded at escaping poverty. Remember this idea from Oliver Cromwell: if you stop growing better, you stop being good. You can stop improving yourself once you become a branch manager, a supervisor, or a beggar. You can always stop at a dead-end minimum wage job, but if you do that, you’ll likely grow old without ever achieving your dreams. It’s all up to you. Will you stop once you reach a certain point, or will you keep improving your life? 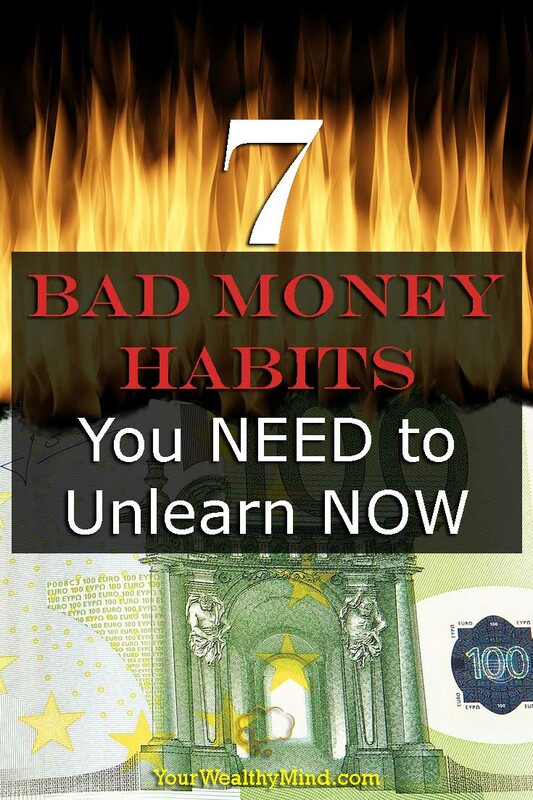 And those are seven bad money habits that you need to unlearn now. Do you know some other terrible money habits? Tell us in the comments section below! Your advice will certainly help our readers!